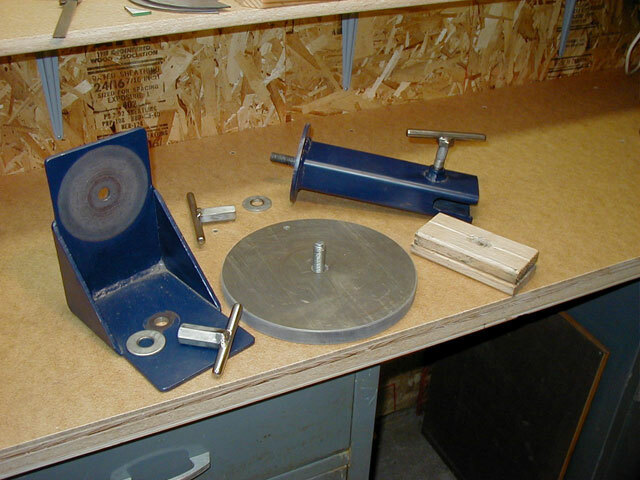 This is my finishing vise that I designed and built based on one I saw in a supply catalog. It is a very useful tool, and I like the design modifications I made to it. I really like my larger clamping knobs and the fact that it rotates every which way. 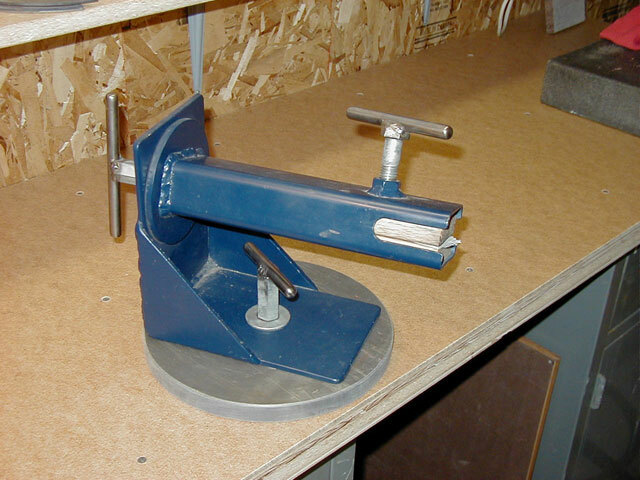 I like the design of your knife vise. I wouldn’t mind stealing the design if you would be so inclined? You are welcome to borrow any ideas on this site. Glad I could inspire you. Most excellent work. Thanks for sharing – things like this is what make the internet such a great resource. 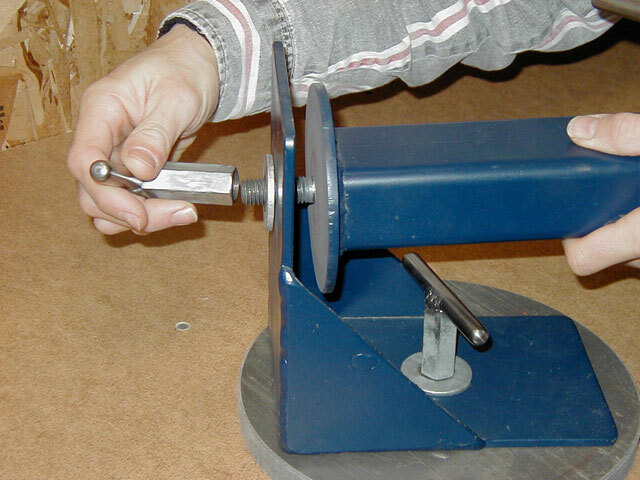 Brilliant design with the way the vise is mounted to the base. I also will copy with your permission. Thank You for sharing your great ideas and designs ! It is so great to have the help and INSPIRATION – !!! I am a brand new knife builder and your ideas will help me get a head start with some cool equipment. 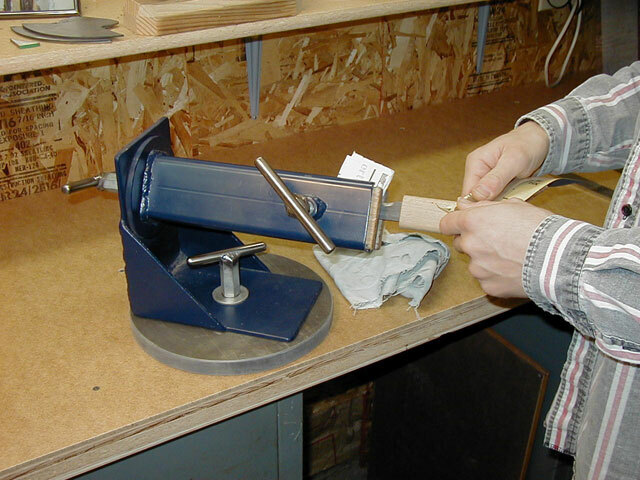 – I would also like to borrow your knife vise design .. and probably some of your other ideas as well , I really appreciate your web site & your willingness to help others, Thank you again.